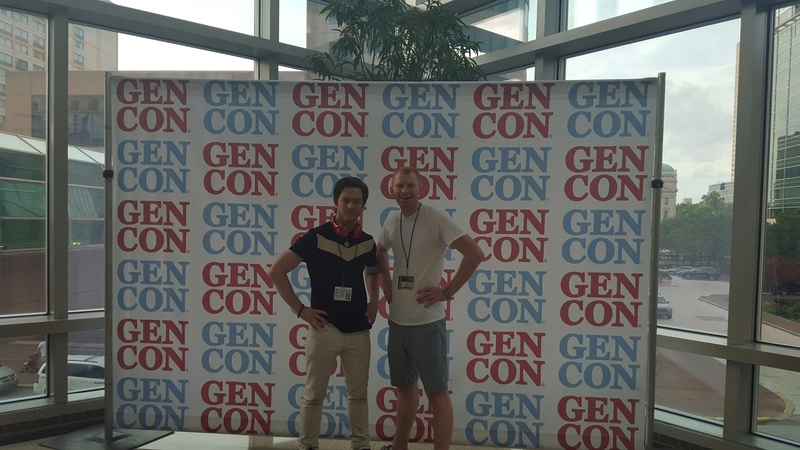 When I attended Gen Con this year, I had the great pleasure of meeting TJ Dunbar- game designer for MomentumVolsk and the mind behind Castle Assault, which he graciously talked me through and allowed me to demo. In a few weeks we will be receiving our very own copy of Castle Assault and will soon be delivering you our review of that. In the meantime though, TJ was nice enough to answer some questions in our latest edition of Portrait of a Gamer. How long have you considered yourself a gamer and what were some of the games that ignited the passion in you? I’ve considered myself a gamer since I was 10. My very first games I enjoyed were those square 4 sided puzzle pieces, each with 4 different pictures on an edge. The challenge was to build a 3 x 3 array with all 9 square sided puzzle pieces in one large square. These I enjoyed throughout elementary school and while the name of these games (or even the publisher) has since escaped me – those puzzle games are where I truly began to enjoy tabletop gaming. At that time I had never heard of famous titles such Hero Quest or Dungeons and Dragons largely because I grew up in such a rural area. I consider Marvel Universe trading cards (specifically the 1992 edition) an inspiration because collecting them was enjoyable in its own right- but I envisioned those cards doing something more. Back then I made my own game using the statistics on the back of those trading cards to create a 2 Player Battle card game. While this was fun, it was clearly broken as the statistics on the back of each card were not designed to be a Battle card game. Afterwards I would create many variations of card games- however none became as mature as Castle Assault. I would say my early favorites were the Dungeons and Dragons Adventure Game, World of Warcraft: The Board Game, and many others which I learned so many fun mechanics from. You started MomentumVolsk fairly recently, how would you sum up the experience of being new in the world of game publishing? Speaking of which, how did you come up with that name? MomentumVolsk began as ‘Volsk’ which was my LARP (Live Action Role Playing) character’s last name and ‘Momentum’ incorporating the balance of our team, and has been operating unofficially since about 2003. We have always been a great group of friends, and particularly on the fields of LARP are where some of the scenarios of game play were first hashed out in real-time. Our early group never held the scope of publishing board games, but we certainly designed and created quite a few together. That being said- publishing board games is something that should not be taken lightly and is certainly a major challenge. Like any endeavor there are many hurdles and roadblocks and when we started down this road if we knew all the obstacles that would have to be overcome it would surely have been a difficult decision, and perhaps we may not have executed the plan to create Castle Assault. However that was not the decision we chose and today we are downright proud to provide Castle Assault to you! Your newest game, Castle Assault, just finished a successful Kickstarter campaign- what was it like to publish a game using Kickstarter? Publishing a game with Kickstarter is like a hybrid of being a social media butterfly and having a robust enough offering for people to take you seriously. MomentumVolsk has not mastered this- however Kickstarter allows a us a unique opportunity and insight into other’s successes; as one can research their game plan, delivery, and very uniquely observe their results! I love Kickstarter, because there is so much talent out there and if this system can bring that talent forward, then I believe the world will be a much better and exciting place. I really do feel Kickstarter is an effective merit based aggregator. Do you have any advice for any other designers who are thinking of using Kickstarter? In my limited opinion there are really 2 paths forward to become a publisher. Get a loan from your local credit union with a convincing business plan or use Kickstarter. There is a false sense of ease of running a Kickstarter, but after completing Castle Assault I am not confident which of these 2 paths would be easier. If one was to create a fictional Unit of “effort” I imagine and wholly estimate without data that the business plan and loan route would be 100 points of effort over 6 months. The Kickstarter expands the time period to 12 months, but increases the effort to 170 points. There is so much extra involved with a Kickstarter that some companies simply elect to skip it because they have the capital and manpower and can go the simpler, shorter route. That being said, there is something about Kickstarter that helps you get your name out there and provides exposure. Honestly, my recommendation would be to research both avenues and make a decision on which path works best for you and your team as there is no set mold for success. I understand that some of the cards in Castle Assault are named after or inspired by some members of your family- how important is the support of one’s family when designing and publishing a game? My sister in particular has always been involved with game development (often times whether she wanted to be or not.) So their input (like anyone’s) is always treated as an opportunity to improve and make a better product. You certainly need a level of understanding with your direct family on the time toll any project will take- and yes, my family have been very understanding of all the time Castle Assault has taken to develop (about 3.5 years). 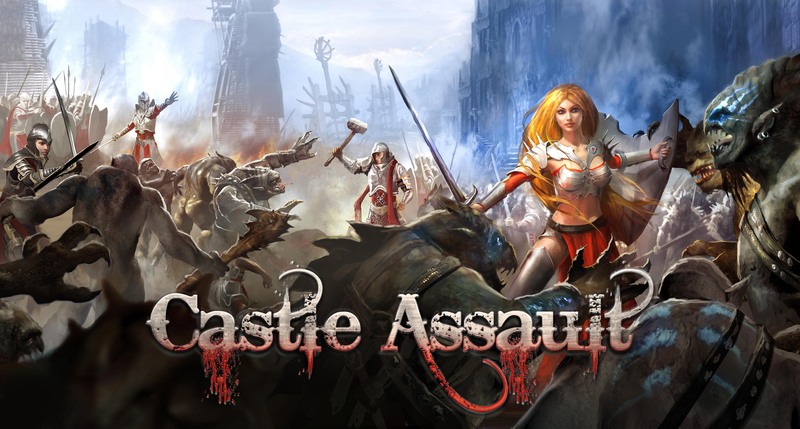 We’re all very excited to get Castle Assault into our review section, but what’s next on the horizon for MomentumVolsk? The next move is for expansion content of additional Warband decks. Based on feedback from gaming conventions and demoing at local hobby shops this is certainly the most requested next move. Beyond that, our roadmap for the future is to compile all backer survey data, convert that to information and make a decision to determine what people who already backed Castle Assault would be interested in seeing next. While these data points will help us steer us, it’s worth mentioning that many of our backers still have not actually played Castle Assault in its entirety. So our goal is to never close our ears and continue to listen to all feedback. We would love to include a 4 Player mode. We would love to add tons of Single Player Campaign Scenarios. We have designed 22 additional Warbands and we would love to bring those to your table top also- but with all these aspirations we will lead off with another Kickstarter for the expansion content to let you tell us what you’re looking forward into seeing. I anticipate it launching another Kickstarter in Feb. 2016 and that will be our fair-weather on bringing another round of Castle Assault into reality. Well, we here at A Space Ahead certainly can’t wait to see what’s on the horizon for TJ and MomentumVolsk. Castle Assault is shipping to its backers on September 30th and the premium edition is available for purchase on their website. Once again, we will soon be bringing you a review of Castle Assault to let you know what we think, and we personally wish TJ all the best in his future endeavors and can’t wait to bring them to our own gaming table.